Even if you changed jobs during the year, your old employer is still required to send you and the Internal Revenue Service a W-2 form soon after the end of the tax year. The IRS W-2 form outlines what you were paid and what taxes were withheld throughout the year. If you don't get the form or it has incorrect information, contact your employer to request a W-2. If it doesn't arrive by the end of February or isn't corrected, contact the IRS for help. Your current or former employer is generally required to send you a copy of the W-2 form for the previous year by the end of January. If you've moved as well as changed employers, you may want to contact your old employer in advance to update your address. In some cases, the form might be mailed or hand-delivered to you. You might also be able to access your W-2 online. In any case, you use this form or the information on it to file your taxes online or on paper, so you want to make sure to receive an accurate copy before the April tax filing deadline. If you don't get the form or the form has incorrect information on it, contact your employer for help. In some cases, you may be able to physically pick up the form or they may be able to send it to you by email or postal mail. If your employer doesn't send you a correct W-2 form by the end of February, contact the IRS for help. The IRS can reach out to your employer and urge them to send you a correct form. If you never get a W-2 form even after contacting the IRS, you're still on the hook for filing your taxes. 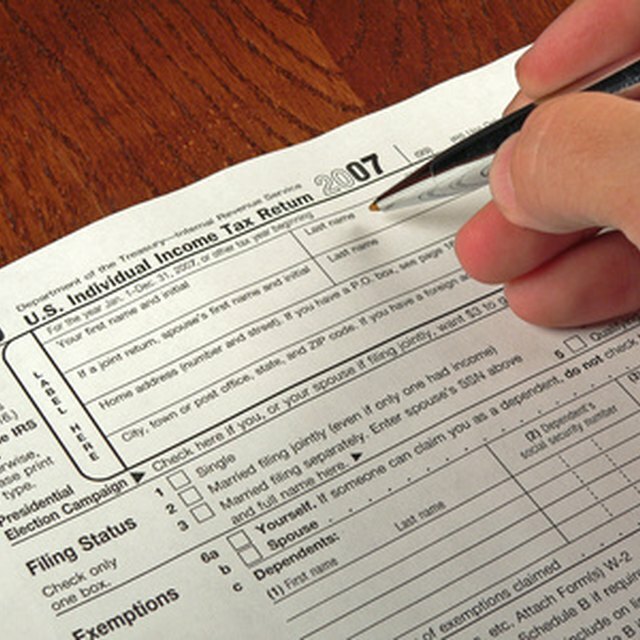 You can use an IRS form called Form 4852 to specify your earnings if you didn't get a W-2. You may be able to file for an extension. Use your pay stubs, bank records or other records you have to substantiate how much you made and what was withheld for taxes. Hold on to Form 4852 until you collect Social Security benefits. If you later get a W-2 form or other information that makes it clear your Form 4852 information was wrong, you must amend your tax return and pay any additional tax you owe. File an amended return using IRS Form 1040X. This form can only be submitted on paper. The 2018 tax law changes don't affect whether your employer must send you a W-2, though they may cause your tax withholding rates to change, so don't assume your W-2 is wrong if your taxes withheld look different from one year to the next. If you're filing an amended return or have an extension for tax year 2017 because you didn't get a W-2 in time, remember that you must file that year's taxes according to the 2017 rules and tax rates, even if you're filing in 2018 or later. If you receive or find your W2 after you have filed your taxes and you find the amounts to be different that estimated, you should file an amended tax form 1040X. All tax forms may be ordered by calling the IRS at 800-829-3676.